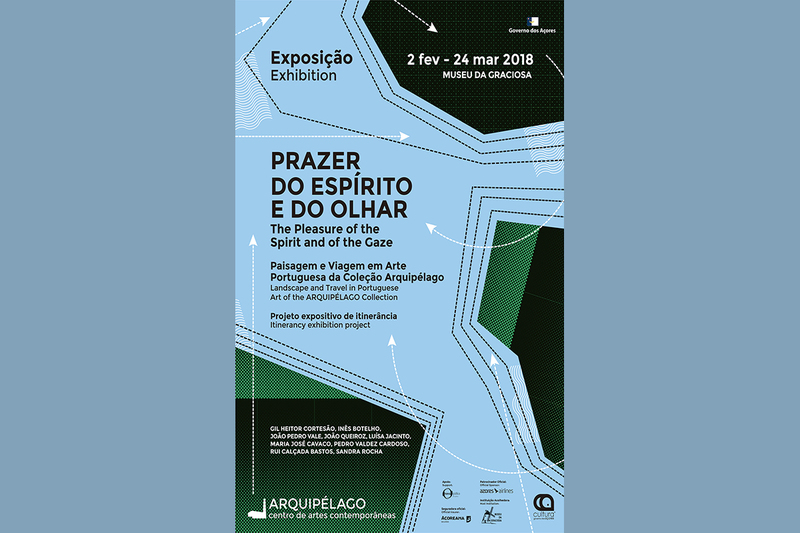 The ARQUIPÉLAGO – Contemporary Arts Center inaugurates, on February 2 at the Graciosa Museum, the itinerant Pleasure of the Spirit and the Look – Landscape and Travel in Portuguese Art from the ARQUIPÉLAGO Collection. The exhibition “Prazer do Espírito e do Olhar” is a selection of 9 works from the ARQUIPÉLAGO collection. This itinerancy considers two of the dimensions that are essential to the identity and memory of the territory where we are located: the Azores Archipelago: the Landscape, which is remarkable for those who live and visit it, and the Journey, rooted in the ancestral and immaterial dimension of its vocation and destiny, through the feeling of approach and knowledge of the Other, or of the inevitability of transposing the barrier of this great ocean that surrounds us. This exhibition project, with the themes of Landscape and Journey as a common theme, will cover during this year all the islands of the Azores, having already passed through the island of Faial in the last months of 2017. And about the exhibition here.